The array of products offered by FlyteSystems was developed as a joint effort with airlines. Timeliness and accuracy of flight data are essential. Airport-bound customers can adjust their travel plans quickly if they know of changes in their flight schedules before they head out. Providing flight information and other content relevant to travelers can open untapped opportunities for businesses, contributing to profitability in the process. “You can help boost ROI with FlyteSystems’ host of flight products. Whether it brings your customers back or keeps them there, our solutions can improve your wallet share as you provide a clean comfortable oasis for weary travelers who will thank you for your efforts,” says Scott Triphahn, Vice President of FlyteSystems. 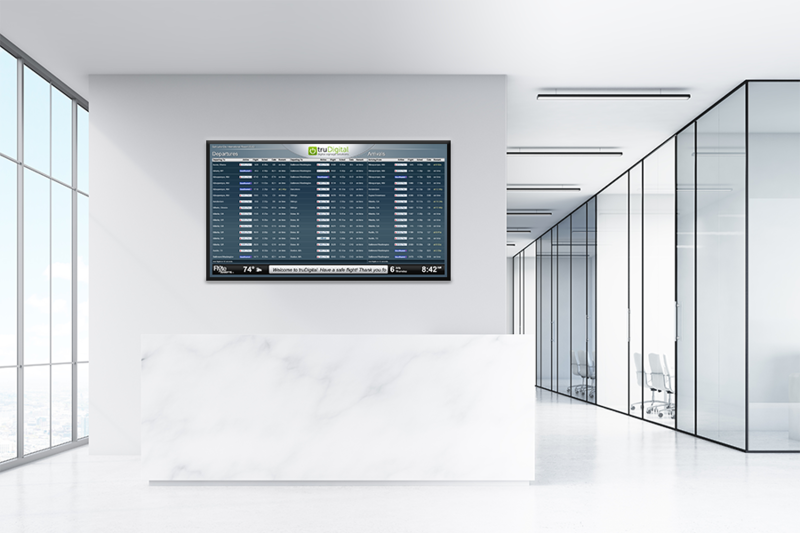 “Our mission is to provide digital signage software that is easy to implement. We want our clients to be able to adapt to emerging technologies quickly and conveniently to meet their needs. We strive to maximize functionality. 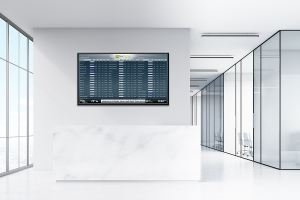 We design cost-effective digital signage solutions for all types of businesses and uses,” said Michael Peine, Media Relations Manager for truDigital.